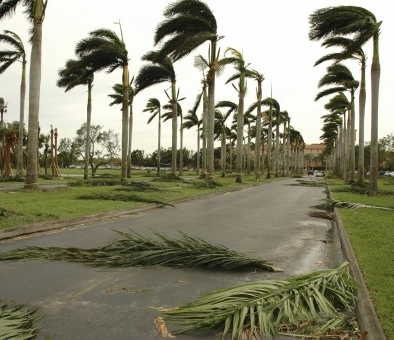 Could Your Business Survive a Natural Disaster? - SJC Technology Inc.
SJC Technology Inc. > Blog > SJC Tech > Could Your Business Survive a Natural Disaster? The first step should be to create a list of the most critical servers and other data centers that you will need to keep your business up and running after a disaster. Take steps now to protect that part of your company’s infrastructure. Remember, if data is corrupted or lost forever, your business could lose more than just money. It could lose the trust of its customers and others associated with it. Your IT system should undergo disaster recovery testing at least once a year. It may be a good idea to test on a more frequent basis if your system has been upgraded, new equipment has been installed or you have turnover throughout your company. By testing often, everyone is on the same page and is ready to implement your plan when a disaster does strike. Although it may be possible to forecast a hurricane making landfall several days before it happens, what would your company do if a tornado devastated the area? Since you may only have limited time and resources after a tornado hits, it is important to have drills that force your people to react quickly to a surprise situation. This will ensure that nerves do not get in the way of taking the proper steps to secure critical infrastructure when an emergency situation occurs. During times of emergency, even the best laid plans may be rendered useless. Therefore, it is important to have a backup plan that allows your company to react to the situation on the ground. For example, if roads are blocked or cell phone service is not available, you will need a plan that enables a server to be restored remotely if possible or by people who are in the area even if they aren’t necessarily trained in the IT field. Does your business know what it will do if a disaster strikes? While you hope that nothing bad ever happens to your company, there is always a chance of something going wrong. Therefore, it is important to create, update and test a comprehensive disaster recovery plan that can be implemented quickly.